Kick off your visit on the 1st (Fri): get a sense of history and politics at Estevez Palace, make a trip to Plaza Independencia, and then take a stroll through Ciudad Vieja. To see ratings, where to stay, traveler tips, and other tourist information, refer to the Montevideo day trip website . Porto Alegre, Brazil to Montevideo is an approximately 4.5-hour flight. You can also drive; or take a bus. 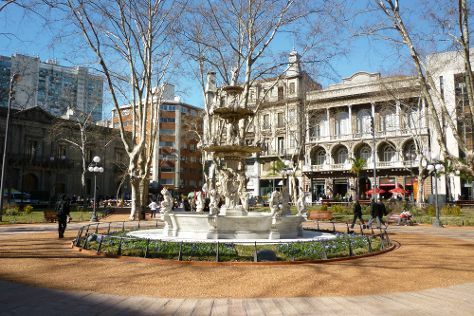 In March, Montevideo is little chillier than Porto Alegre - with highs of 28°C and lows of 17°C. Finish up your sightseeing early on the 1st (Fri) so you can go by car to Colonia del Sacramento. Start off your visit on the 2nd (Sat): kick back and relax at Playa Fomento, then snap pictures at Puerta de la Ciudadela, and then get to know the fascinating history of Barrio Historico. Keep things going the next day: visit a coastal fixture at Colonia del Sacramento Lighthouse, make a trip to Porton de Campo, then get engrossed in the history at Museo Portugues, then don't miss a visit to La Calle de los Suspiros, and finally stroll through Playa Santa Ana. Planning Colonia del Sacramento trip won't be overwheling when you use's Insprock itinerary maker. Drive from Montevideo to Colonia del Sacramento in 3 hours. Alternatively, you can take a bus. In March in Colonia del Sacramento, expect temperatures between 28°C during the day and 19°C at night. 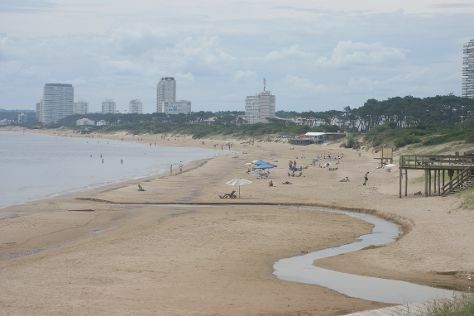 Finish your sightseeing early on the 3rd (Sun) to allow enough time to drive to Punta del Este. Start off your visit on the 4th (Mon): see the interesting displays at Museo del Mar, kick back and relax at Playa Punta Ballena, then admire the masterpieces at Museo - Taller de Casapueblo, then enjoy the sand and surf at Playa Mansa, and finally enjoy the sand and surf at Playa Mansa. Get ready for a full day of sightseeing on the 5th (Tue): snap pictures at Puente Leonel Viera, stroll through Playa Brava, and then enjoy the sand and surf at Playa Montoya. For other places to visit, ratings, and tourist information, you can read our Punta del Este itinerary builder . Getting from Colonia del Sacramento to Punta del Este by car takes about 4.5 hours. Other options: take a bus. In March, plan for daily highs up to 27°C, and evening lows to 21°C. Finish your sightseeing early on the 5th (Tue) so you can travel back home.